Handmade Lavender Necklace – Pegasus Florist - Naturally Dried Lavender in Malaysia! These handmade lavender accessories are crafted with L.O.V.E. The glass globes are hand blown & filled with real, natural lavender. Protect accessories from scratches, chemicals, extreme temperatures & direct sunlight. Do not wear accessories while in a pool, hot tub or bathing. The chlorine in the water may damage sterling silver plated items. After each wearing, gently wipe with a 100% cotton cloth to clean of dirt & skin oil. Store accessories away from the sunlight when not in use (avoid lavender colour to fade easily). 1. Are the lavender real? 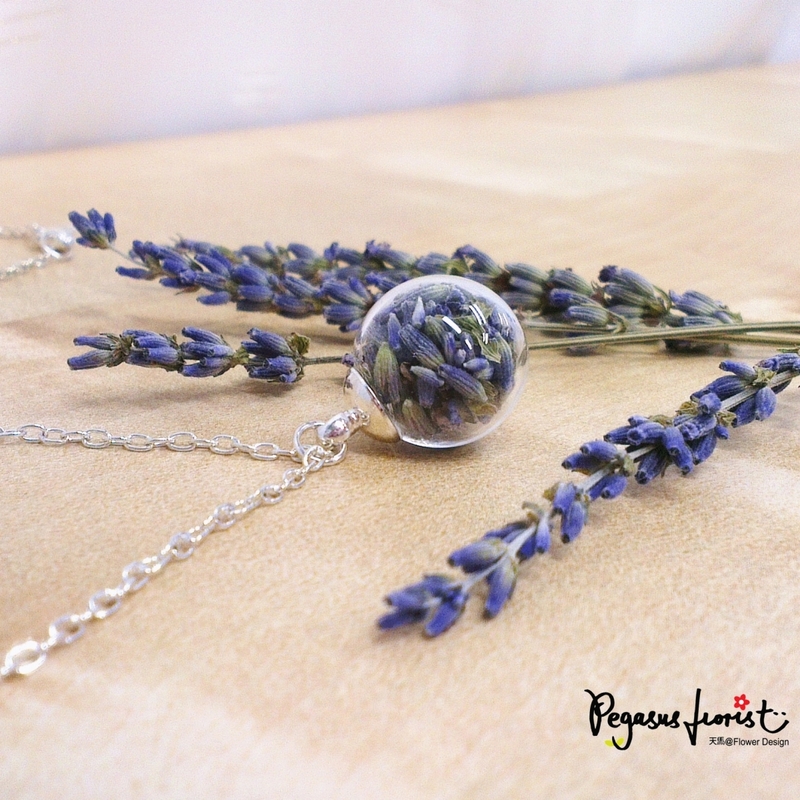 Yes, the lavender we put in the glass globe are naturally dried & real. 2. What is the material of this necklace? 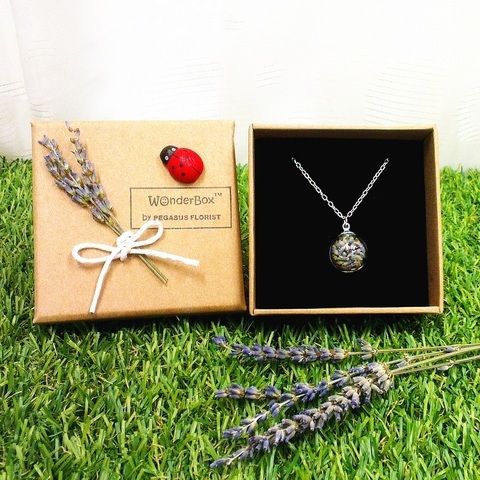 The pendant is 16mm hand blown glass globe with sterling silver plated cap, while the chain is 20" inches sterling silver plated with Lobster Clasp. 3. Is the gift box included? Yes, the unique gift box is included with purchase. 4. My accessory becomes tarnished after some time. How to clean it? Tarnish means discolouration of metal surface caused by oxidation (exposure to air). Use a silver polishing cloth to gently rub off the tarnished area. It shall look good again.